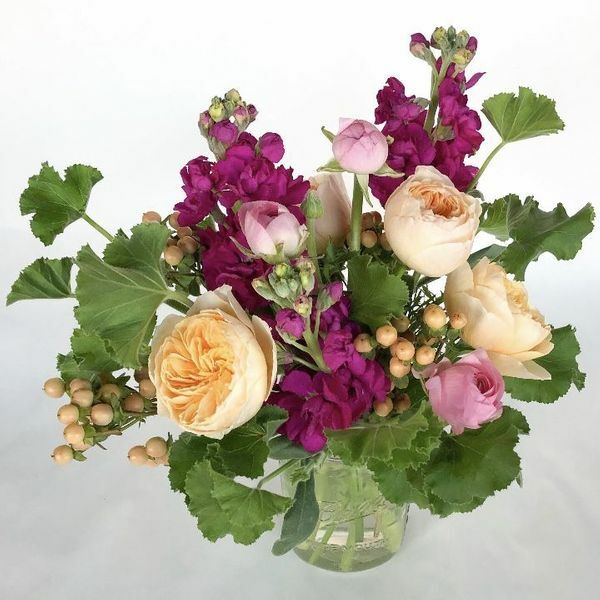 Bold and lovely garden roses, ranunculus, stock, hypericum berries and greenery designed in a sassy jam jar. Approx. 10"x7" please note: some flowers and colors may vary due to availability.